You can cruise safely and reliably on these five top cruise lines that feature deliciously robust gluten-free dining programs as part of their quest to expertly accommodate guests with special diets. If you’ve been bitten by the travel bug, it’s time to look into these impressive options for gluten-free cruising. With its Mediterranean focus and concordant heavy emphasis on pasta, pizza and other Italian specialties, MSC Cruises faces what is possibly the most challenging task of any cruise line in this grouping—and knows it. This family-owned, European-based cruise line with a limited but fast-growing presence in North America aims to deliver a superior culinary experience to its international clientele. 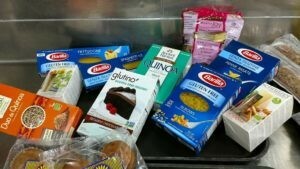 Faced with this tricky task, MSC partnered with the Italian Celiac Association (AIC) to jointly develop gluten-free menus for breakfast, lunch, afternoon tea and dinner. The AIC supervises and regulates the program by making unannounced, periodic inspections of MSC’s ships. Diligent and careful preparation are the watchwords in the separate gluten-free galley aboard the MSC Divina, MSC Meraviglia and MSC Seaside. The Mediterranean theme aboard MSC’s modern ships—aside from stunning Italian design in the public rooms—manifests itself heavily in Italian cuisine, so it’s no surprise that the ships are provisioned with up to 23 different types of pasta (many made fresh on board), including several gluten-free varieties. Guests in the main dining room are presented with up to 17 completely different gluten-free menus throughout their cruise—and the choices therein are myriad and delicious. Even the packaged, gluten-free baked goods offered in all dining venues—produced in Italy, by the way—are far superior in taste and consistency to those tried elsewhere. And the effort carries over to lunchboxes provided for shore excursions and onboard beer and cocktails. Typifying the quality of the cuisine was one night’s special dessert in the excellent, alternative Eataly restaurant: a gluten-free torta della nonna, which ranked among the best desserts I’ve ever had at sea. Steeped in history and rich with tradition, Holland America Line (HAL) has been satisfying guests for more than 140 years aboard its classic ships, and providing quality cuisine has always been an integral part of that legacy. In recent years, HAL Master Chef Rudi Sodamin has elevated the line’s culinary program, introducing innovative and modern dishes that complement the already-impressive classic fare. And the accommodations for gluten-free guests aren’t an afterthought. In a carefully thought-out and planned exercise that reveals itself in scrumptious offerings in all dining venues aboard, HAL’s gluten-free program excels. 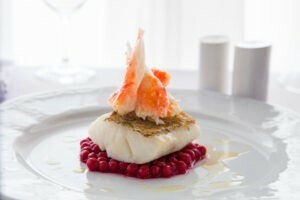 What makes the line’s culinary program exceptional, however, goes beyond the legendary warm hospitality exuded by its staff and crew; it’s the fact that food-and-beverage staff and crew are cognizant of—and, more importantly, informed about—special diets and their relation to the dishes offered onboard. According to Bitta Kuruvilla, ms Zuiderdam’s executive chef, 90 percent of the dishes on the main dining room menus are either already gluten free or can be made so with 24 hours’ notice. And the accommodation extends to the Lido Market casual dining area, where the Italian station features several made-to-order gluten-free pasta choices; the pancake and waffle station provides safe options; and the Distant Lands pan-Asian station chefs will carefully customize dishes using tamari soy sauce. Guests traveling on HAL’s ships also now enjoy the cruise industry’s best nighttime lounge entertainment in the line’s Music Walk trio of venues, including B.B. King’s Blues Club, where talented Memphis pros deliver stunning renditions of blues, soul and R&B hits. 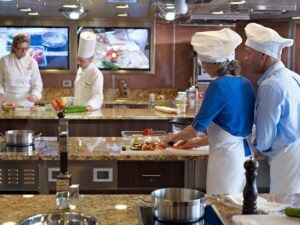 Onboard enrichment opportunities also abound on HAL through the line’s new partnership with PBS’ America’s Test Kitchen, Exploration Central’s destination hub and programming inspired by O, the Oprah Magazine. 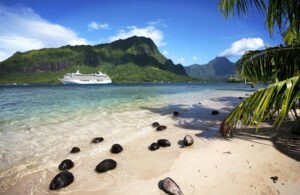 Known by avid cruisers as the “foodie cruise line,” Oceania has an ethos firmly rooted in culinary supremacy. Led by legendary chef Jacques Pepin, the line touts its gourmet bona fides heavily—and ultimately delivers—so it’s no surprise that gluten-free guests are in for a treat. Seeing a different dinner menu each night, guests in Oceania’s grand dining room are spoiled with a choice of 10 appetizers, soups and salads, and 12 entrees. And it’s a gourmand’s daydream, as caviar, lobster, duck and prime rib make frequent menu appearances. Special diets are accommodated easily, since every dish is prepared a la minute. Dining staff are also well versed in gluten-free options for passengers. Even at Waves Grill, the casual poolside eatery, guests are tempted with gourmet items like lobster tails and lamb chops—all prepared to order, of course. 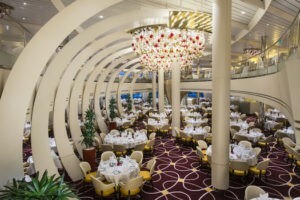 Dining in the specialty restaurants onboard is certainly no less extraordinary. 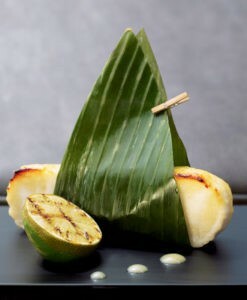 At Red Ginger, the Asian bistro featured on Marina, Riviera and Sirena, the Spicy Duck and Watermelon Salad gets the salivary glands working, as does the succulent Miso-Glazed Seabass. As a perennial leader in the luxury cruise niche, Crystal Cruises is constantly looking for ways to raise the bar even higher to cater to discerning clientele on its two mid-sized, ocean-going ships, Crystal Serenity and Crystal Symphony. And Crystal’s guests expect culinary excellence at each meal, regardless of their dietary needs. On a recent voyage, I was impressed by Crystal’s culinary program and the company’s caring accommodation of guests with specialty diets. Dinner menus in Crystal’s main dining room are comprised of two sections: Crystal Classics and Modern Cuisine. The latter is typified by dishes like Mediterranean Sea Bass with Beet Risotto and Poached King Crab, and Snapper Sashimi with Caramelized Banana, while the former offers comfort classics like Lobster Cobb Salad and Whole Roasted Duck with Orange Sauce. Diners are free to mix and match from both sides of the menu. Working my way through dinner each night was a two-hour gustatory labor of love. And with included top-shelf cocktails and wines, it was also a guilty pleasure. Specialty dining is also taken up a notch on Crystal, notwithstanding the dining room’s already-high standard. Silk Road and the Sushi Bar feature authentic tastes of famed chef Nobu Matsuhisa’s iconic dishes, and the onboard Nobu-trained chefs are skilled at creating menu items that capably satisfy special diets. Meanwhile, diners at Prego feast on Italian specialties honed at Piero Selvaggio’s Valentino Restaurant in Santa Monica, California, such as Carpaccio of Black Angus Beef and succulent Veal Scaloppine al Limone with gluten-free capellini pasta. 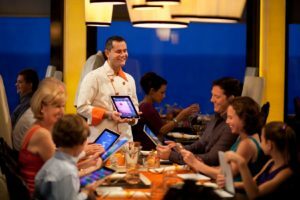 Celebrity Cruises’ “modern luxury” tagline applies to the eight-ship line’s spacious and stylish public rooms as well as to the progressive culinary program. The dining room fare hews toward classics like rack of lamb and tournedos of beef, while specialty eatery Qsine features shared Mediterranean plates and playful appetizers like sushi lollipops—all ordered via an iPad. Guests with special diets are well-accommodated, especially due to the line’s recent participation in the Dine Aware program. All food and beverage staff and crew are now required to complete Dine Aware training, which educates them on topics related to food allergies and intolerance. In addition, gluten-free dishes in the dining room are clearly indicated on the menu. Guests with a gluten allergy or intolerance may also have their choices prepared in the Special Order Line area of the galley, where great care is taken to avoid cross-contamination. Even the Oceanview Café, Celebrity’s casual dining area, features a dedicated station for gluten-free items and pastries. But the Celebrity experience is more than just contemporary cuisine; the onboard ambience projects a modern, stylish European hotel where current-day sensibilities mesh with classic service. 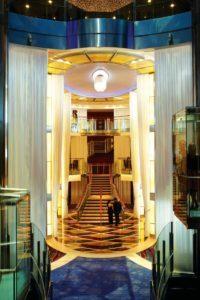 On the line’s Solstice-class ships, arriving passengers step into a spacious, light-filled atrium while entertainers perform gentle, Cirque-like acrobatics accompanied by ethereal music. 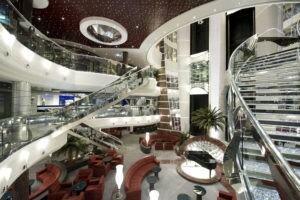 It’s a fitting welcome to an upscale cruising experience meant to appeal to a sophisticated demographic. The line’s four Millennium-class ships have all been recently renovated to include features and functionality such as restaurants, spas, lounges and coffee bars found on its newer-generation Solstice-class ships in order to provide guests with a uniform experience across the fleet.